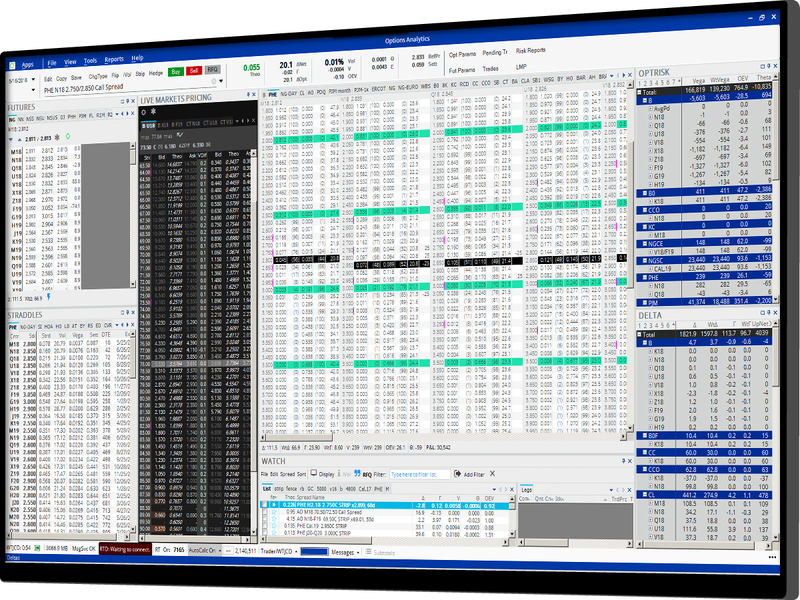 Quickly price strips and spreads, identify trading opportunities and manage risk in real time with advanced options valuation, analytics and risk management that supports the latest and most complex options trading strategies. The user-friendly interface supports over 600 commodities traded on global exchanges. Flexible packages are available for almost all customer types, from larger firms with system integration needs to independent traders.